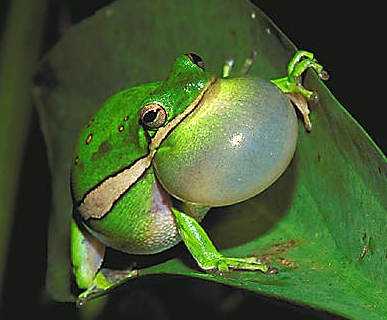 Click on me to hear more frogs! 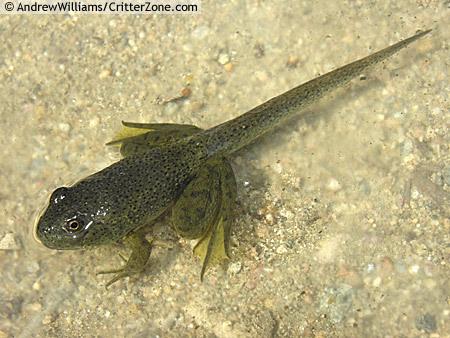 "By 12 weeks, the tadpole has only a teeny tail stub and looks like a miniature version of the adult frog. Soon, it will leave the water, only to return again to laymore eggs and start the process all over again! " 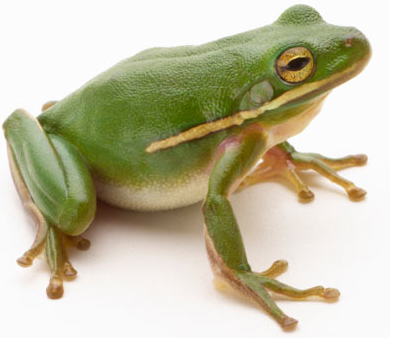 "By between 12 to 16 weeks, depending on water and food supply, the frog has completed the full growth cycle. 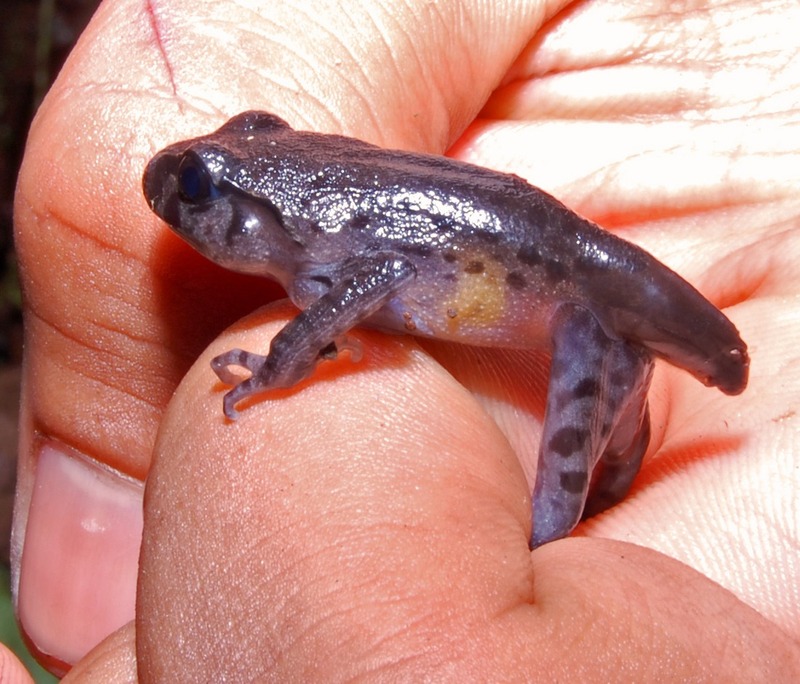 Some frogs that live in higher altitudes or in colder places might take a whole winter to go through the tadpole stage...others may have unique development stages that vary from your "traditional" tadpole-in-the-water type life cycle: some of these are described later in this tour. 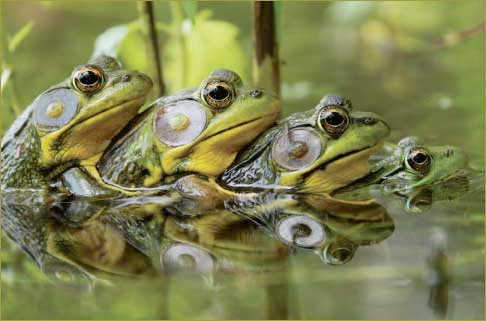 Now these frogs will start the whole process again...finding mates and creating new froggies."